We’re a proud member of Local First Arizona, a non-profit organization that supports local businesses to help build vibrant communities. They just started a really cool program where you can become a “Localist” and get access to exclusive events plus enjoy discounts and freebies from beloved local businesses. Over the course of my 16 years in the events industry (eight working on the planning side and eight on the hotel side), I’ve seen many trends come and go. Fortunately, the Macarena was one that didn’t last too long. One trend that’s just starting to evolve, and I have no doubt is here to stay, is choosing food and beverage menus with the intent of maximizing the productivity of the attendees. Have you been to Nido Vintage Furnishings in Downtown Scottsdale? Pronounced like “neato”, this shop opened in August and has filled the void of vintage furnishings in the area. You can find furniture, clothing, home accessories, and gifts. Husband and wife Charity and Dino Recla opened the store after twenty years of collecting mid-century items. 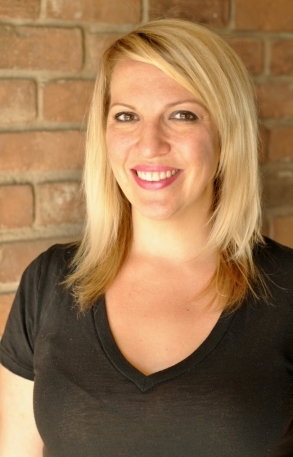 We stopped in to chat with Charity about her store and holiday shopping. We saw this strange bike contraption cruising Downtown Scottsdale and wondered…what is that thing? 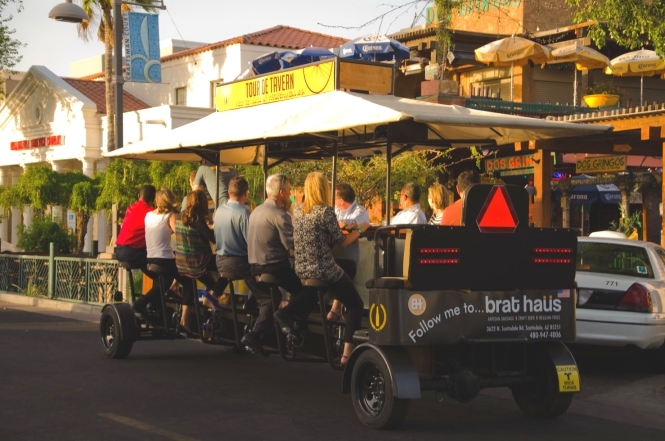 The Tour De Tavern is a bike that accommodates up to 15 people for a ride around Old Town Scottsdale. It takes you to bars like RnR, Dos Gringos, Old Town Tavern, and Cien Agaves, while a driver handles all the steering and braking.